estranging yourself from adult children. The book provides ways that parents can help their adult children and outlines situations when they need to back off. The authors say the book is not about easy answers but about facing the tough realities of an adult child’s behaviour and managing them as best parents can without sacrificing themselves. They recognize that parents can only help their troubled adult child so much; that ultimately, the child must be ready to make the necessary changes. They also give good advice about, among other things, how to handle unhelpful comments by family and friends, how to phrase requests to adult children, how to work effectively with a child’s health professionals, and how to respond to a child who becomes violent. The book also provides background research and case studies to substantiate the advice. 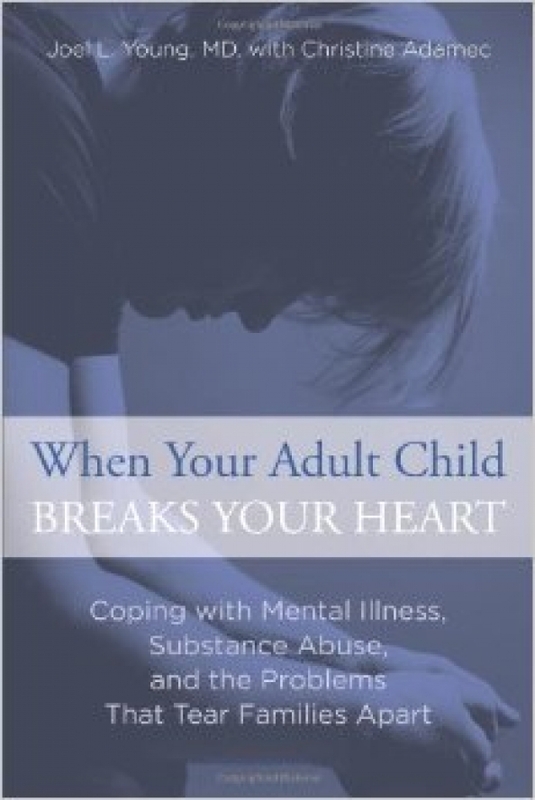 Each chapter starts with a quote from a parent of a troubled adult child and ends with a summary of the key points. Although the book is directed at an American audience and refers to American statistics and sources of help, the book remains an excellent resource for all parents of troubled adult children. Have you any experience with a troubled adult child and how did you handle it? I would love to hear from you . Please leave a response in the Reply Box below. Previous Post: Is helping with your kids’ mortgage really helping your kids? Patricia, sounds like a good book. did not blame the parents. My adult son has mental health issues as does the women who ‘mate’ with him. In their wake are babies my grandchildren left to be abused, neglected and or aborted. I have lost all access to the first grandchild and raised the second one while the 3, 4 and 5 grandbabies were aborted and now there is another one….my heart is broken beyond repair. I am so sorry to hear this Betty. It must be so difficult for you to watch your son act without thinking of the consequences. I hope your son’s mental health issues get resolved and I hope you can find joy in some area of your life. Thanks and yes very hard to watch my son destroy himself and his children. I had to cross the enough bridge and set limits with him as he threaten to burn our home down with his daughter living here. So no contact in 16 years however I do know his is alive as he has not blocked me on his facebook page. Meanwhile I have raised his second daughter who is now 22 and in college. I read this book and found some answers or I guess relief I was feeling helpless because I don’t know anyone going through my pain. My son is homeless and I have tried to help him but because he is 20 and we live in California it’s very difficult. Since he refuses to get help for his drug abuse and I really think he has a mental illness. He says hes fine and nothing is wrong with him thats what he tells the Doctor.Thank you for the information in the book. over the years and all of them amount to one form of emotional damage control or another. The thing is, these books often fail to address that so often as parents there is no reprieve. Another big thing that’s different is it has a huge focus on taking care of yourself, instead of just spending more time focusing on what’s going on for the adult child, which offers a true guide through the woods of despair resulting from addiction and mental illness. It’s sounds like you have had a rough ride. When things are difficult it certainly is important to focus on your child.s problems, and you need to take care of yourself. You cannot help your child unless you make sure your own needs are being met. Good luck.